There are plenty of reasons to come to the Greenwich area all year-round, but fall is a truly special time to visit. The weather turns cool and crisp and the leaves change into vivid shades of red, gold, and orange. There are plenty of things to keep you busy, from visiting the various places for CT apple picking to enjoying fall farm visits, to enjoying some beautiful CT fall foliage. Another reason to love fall in Greenwich is because of the great fall festivals in CT that you can attend. 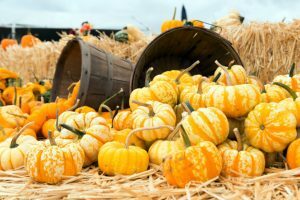 From celebrations of the harvest seasons to events that showcase the food and wine of the region, these fall festivals in CT are definitely worth your time. The Greenwich Wine & Food Festival is a three day celebration of the Greenwich area’s food and wine scene. Along with tastings and special presentations, the weekend includes live music as well. This year’s headliner is Little Big Town. The Greenwich Wine & Food Festival is more than just a good time, it contributes to a good cause as well. The event supports Paul Newman’s The Hole in the Wall Gang Camp. The organization benefits children dealing with cancer, sickle cell anemia, and other illnesses as well as their families. The Norwalk Oyster Festival is one of the most beloved fall festivals in CT. This celebration takes place every year on the first weekend after Labor Day. The festival is located in Veterans Park near Long Island Sound. The festival’s proceeds go to the Norwalk Seaport Association and they use the funds to maintain the Sheffield Island Lighthouse and develop educational programs for the community. The Bruce Museum presents two outdoor festivals each year. In May, the Outdoor Crafts Festival takes place a week before Memorial Day. In the fall, the Outdoor Arts Festival lasts two days each October on Columbus Day weekend. During the weekend artists are present with their artwork and all works are for sale. Besides the visual arts, this is also an opportunity to experience one of the smaller music festivals in CT with some fantastic live music performances throughout the weekend! Bridgeport is just about 40 minutes away from Greenwich, so going to the Bridgeport Harvest Festival makes a perfect little day trip away from the Stanton House. The Harvest Festival is presented by the University of Bridgeport on their campus. 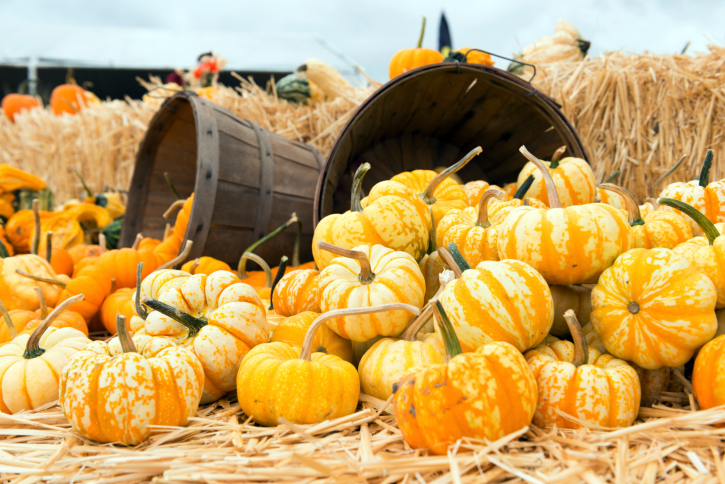 There are great activities for the entire family that celebrate the bounty of the fall season. When you’re planning which of these fall festivals in CT to attend, don’t forget to make your accommodation arrangements at the Stanton House Inn. Our Greenwich, CT bed and breakfast is the perfect place to call your home-away-from home during your visit to the area. The Inn’s rooms and suites provide the perfect places to rest and relax in between all the great activities you’ll want to participate in during your stay. You’ll find that our property is the ideal place to get away from the hustle and bustle of everyday life and enjoy the Greenwich experience. Our location is just a short distance away from all the shops and restaurants you’ll want to visit. We can’t wait to see you soon! For more information on Greenwich and the surrounding area, be sure to request a copy of our free Vacation Guide full of our tips on what to see and do while you’re with us! Enjoy a Game at the 5 Best Golf Courses in CT — Where is the Best Pizza in Greenwich, CT?